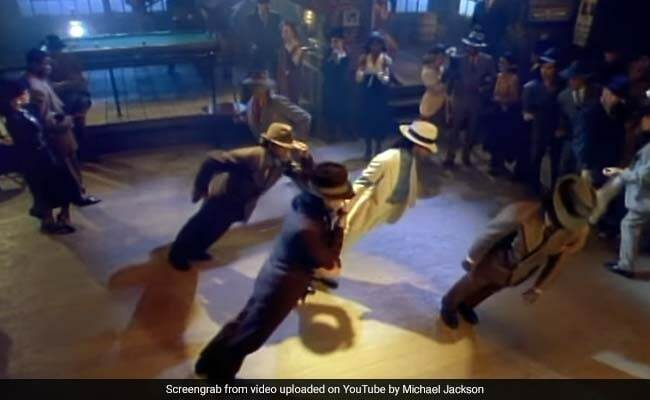 Michael Jackson's "Smooth Criminal" music video features this seemingly impossible "anti-gravity tilt"
New Delhi: Three neurosurgeons from the Postgraduate Institute of Medical Education and Research in Chandigarh (PGI Chandigarh) have unlocked the mystery behind Michael Jackson's iconic "gravity-defying" dance move made famous by his 1988 music video "Smooth Criminal". Studying the King of Pop's anti-gravity tilt, Nishant S Yagnick, Manjul Tripathi and Sandeep Mohindra have warned others against attempting the dance move themselves - saying the potential for injury is great. In the music video, Michael Jackson tilted his body forward at a seemingly impossible 45-degree angle. All the while, his feet were flat on the ground and spine completely straight. It was a dance move he recreated in several live concerts. While for the video, Michael Jackson is believed to have used a special harness to pull off the move, the doctors reveal, during live shows, the incredible step was made possible thanks to specially designed shoes and the legendary singer's own core strength. In a study published in the Journal of Neurosurgery: Spine, the doctors - and admitted Michael Jackson fans - said highly-trained dancers with strong core strength could only maintain a 25 to 30-degree forward tilt from the ankle with a straight torso. "As much as we would like to believe that MJ broke the relationship between physiology and physics, a patent registered under (Michael Jackson's) name shows that the move was accomplished with a clever invention," they wrote. Turns out, the pop icon helped develop special shoes that had slots in the heels. The slots would hook onto a nail in the ground and would help keep his feet on the ground as he tilted forward. "Alas, MJ's move was an illusionary trick," they wrote. "The move is incredibly hard to pull off, requiring athletic core strength from strengthened spinal muscles and lower-limb antigravity muscles." The spine experts warned others that they risked spinal injuries if they tried the dance move and pushed their bodies too hard. "MJ has inspired generations of dancers to push themselves beyond their limits. Though a visual delight, such moves also lead to new forms of musculoskeletal injuries," ScienceDaily quoted Dr Tripathi as saying. "'The King of Pop' has not only been an inspiration but a challenge to the medical fraternity."